We’re so excited to announce the launch of our podcast!!! The Maternity Sewing Podcast is where we have frank conversations, share stories, and offer help and inspiration on things like sewing and body positivity especially during pregnancy and postpartum. Get to know Erin & Lisa (the owners of MaternitySewing.com), get inspired by other sewists, and learn about maternity, nursing, and postpartum mental and physical health from expert guests (who are often sewists themselves!). In this introductory podcast episode, we give a bit of background about our friendship, explain why we started MaternitySewing.com, and talk about what you can expect to hear in future episodes of the Maternity Sewing Podcast. Though this episode is longer, you can expect future episodes to be about 10 minutes long and you’ll find us cycling through several different topics. Of course we’ll be talking to sewists about sewing because that’s the obsession we all have in common. We’ll also directly address pregnancy, nursing, and postpartum mental and physical health by talking with experts. Lisa and Erin (the owners of Maternity Sewing) and other sewists and parents will talk about their lives and experiences because we believe that hard times are made easier and good times are made better by sharing them with a community. Throughout the podcast we place an emphasis on body positivity – pregnancy, nursing, and postpartum are times of drastic changes to our bodies that can be discombobulating and we want to help you appreciate and love your changed and changing body by sewing for it and learning about it. We want to be a part of a community and to help you feel like a part of a community where you can learn, be inspired, and share. You can find Lisa Kievits at PaprikaPatterns.com. Paprika Patterns is on Instagram and Facebook. [0:00] Welcome to Episode 0f the Maternity Sewing Podcast. Episode 0? Yeah, Episode 0. This is an introduction, not a real episode. We’re starting at the very beginning. A very good place to start. 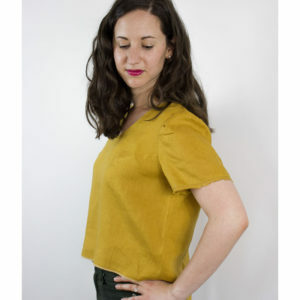 MaternitySewing.com is your source for maternity, nursing, and postpartum friendly sewing patterns. [0:34] The Maternity Sewing Podcast is where have frank conversations, share stories and offer help and inspiration on things like sewing and body positivity, especially during pregnancy and postpartum. Hi. I’m Erin Weisbart, also known as Tuesday Stitches. And I’m Lisa Kievits, also known as Paprika Patterns. 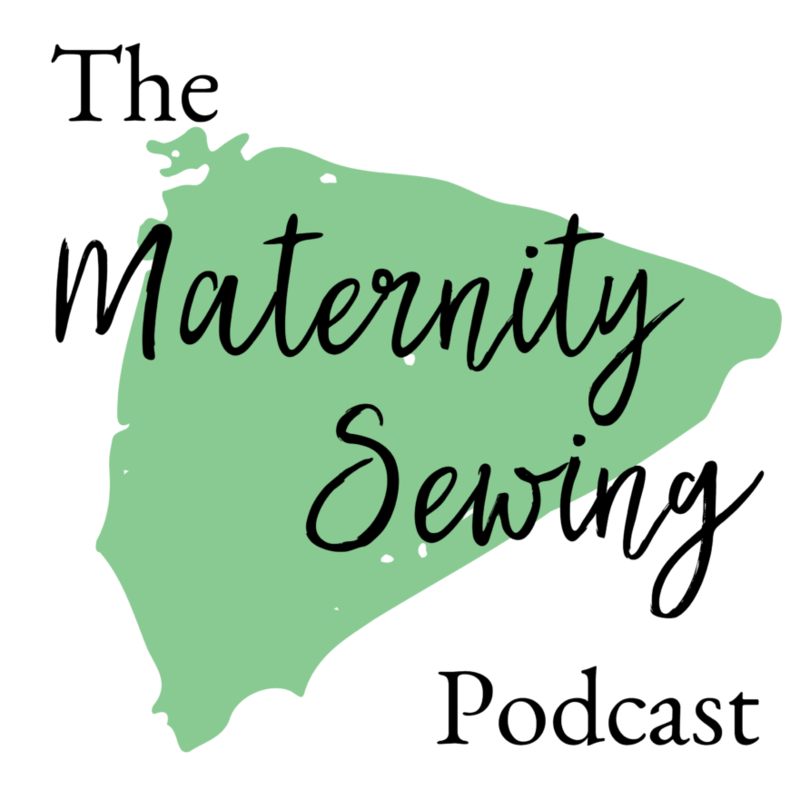 In this introductory episode we’ll give you a little background on who we are and why we started Maternity Sewing and then we’ll talk about what you can expect to find in future Maternity Sewing Podcast Episode. [1:16] In the Maternity Sewing Podcast you can expect to find us talking about things like sewing, pregnancy, postpartum life and body positivity so we wanted to create an introductory podcast about what these things mean to us and why you want to talk about them. So our usual podcasts will be 10 minutes long but you may find that this one runs a bit longer while we sort of catch you up with what we’re planning for the rest of the shows. So my name is Lisa. I am Dutch but I live in France since about 4 years. I live here with my husband my daughter and our dog and we just added two little kittens to our household. [1:55] In a couple of months there will also be a second child because I am 6 months pregnant and then, before or after that there will also be a couple of chickens. But we’ll have to see about that. [2:10] Yeah so I live in France and we bought our house about a year ago. It’s an old farm it’s kind of neglected, the house as well as the garden, so it is quite a bit of DIY and gardening involved and which we do in our free time mostly. During the week I work as a pattern designer for Paprika Patterns for which I design sewing patterns for women. [2:38] And before that I’ve had a sewing blog since about 2010 so pretty early in the start of blogging and sewing and all that. [3:35] some of the benefits of city life close by. We also bought a house a couple years ago and it’s probably taking less work to get up to speed than Lisa’s house but we’ve been doing renovations and a ton to our yard so working on getting the garden tamed. At some point in this house’s life there was somebody who really love gardening but it was not the owners that had the house eight years before us. Trying to get that in shape and get my own vegetables growing and chickens are definitely in my future but I’m not sure exactly when. My sewing company is Tuesday stitches so I also write and publish mostly adult women’s patterns and do that working from my home office here in my basement. And as Lisa said I started out by being a sewing blogger about the same time she did and we’ve known each other, gosh, right about from the start. [4:50] So it’s kind of funny how our lives have parallel to each other. Oh yeah, I also have a two-year-old daughter that’s just about the same age as Lisa’s and that’s one of the ways that we really connected on a deeper level became even better friends is talking to each other supporting each other through pregnancy and postpartum. [5:28] like our interests are in a large ways they are the same and then also I think our bodies look kind of the same. We’re both tall and have narrow waists and broad hips you know and all that stuff and it’s very funny and then of course we got pregnant at almost the same time and yeah so it’s pretty funny. You know people talk about having your body double on a sewing blog. If you can find somebody you know that blogs about sewing that has a body that looks like yours it’s great because you can see oh they sewed this style I may not have considered or they made these modifications for fit in this pattern and kind of convenient that Lisa and I have that in each other. [6:17] Yeah I think the only thing that’s quite different is our style because you your style is really much bolder than mine so it’s always really interesting for me to see how far you can go with with your style and I’m not sure I’m as brave as you in that sense but for pattern modifications that’s pretty much the same no matter what style that you have so. Yeah well and you know you can sew the exact same garment in a slightly more understated fabric whereas I might pick dinosaurs Lisa may pick a solid but we can still appreciate the same garment at its base. Yeah exactly. [7:04] So I think Maternity Sewing also came about because of our similarities in our experience as well during our pregnancy. [7:14] Because we both like we started commiserating basically about how hard it was to find good maternity sewing patterns or fun maternity sewing patterns for that matter. [7:28] I think we started out as with an idea to to collaborate on a collection more than Maternity Sewing it as it is now. [9:15] maternity patterns can be and then even thinking beyond that like well what about postpartum. I mean when I came home from the hospital I certainly still looked 6 or 7 months pregnant and that just astounded me. People said oh yeah but bring loose clothing to the hospital right but like loose clothing, bring maternity clothes. My body changed a lot when I was pregnant. I gained 50 lbs so my body was really different. The loose clothing that I brought to the hospital to wear home like there was no way I was going to fit into it and that was a big surprise to me that postpartum your body is still so different and then postpartum both immediately and then indefinitely. My body is different now that I have had and grown a baby inside. My weight is back to the same thing my waist and hips are the same measurements but my low-waist my belly is now about two inches larger and that’s not going to change you know. I mean that’s my new body and I think recognizing that. postpartum forever. It means after having given birth so if you’ve given birth you’re postpartum the rest of your life. [11:33] Yeah the postpartum phase is definitely part that’s not really talked about much and I think the same goes for nursing and nursing patterns. And for maternity sewing we also found some pretty great nursing patterns and so we really wanted to encompass the whole spectrum of having a baby so not just the pregnancy but also the postpartum phase and the nursing. issues with our daughters who both were kind of horrible sleepers for the first 6 months and so I remember reaching out to you because you said something about I think maybe on social media or just an email how you found a solution for Evie and her sleeping I was like tell me about it because Frida is sleeping horribly just like these stretches of 30 minutes and I was going I was losing my mind basically and you were three months ahead of me. [13:16] Yeah so for maternity sewing as well we really wanted to provide a community as well for people to talk about these things and not just about not just be about sewing patterns and selling sewing patterns but really starting a community for pregnant and nursing and postpartum sewists. [13:38] Yeah and I think that just another thing about the similarities between our lives being living more rurally and being new to where we were living. [13:50] You know I bought we bought the house and then a few months later I got pregnant and I was sick my whole pregnancy. I didn’t leave the house pretty much the whole pregnancy so we didn’t I didn’t have the chance to make friends. And you’ve bought your house while having a young kid and you know so that was hard not having a built-in community in person where we lived and having people that we could turn to in real life and so that’s another thing that encouraged us and inspired us to have a community for people going through this. [14:26] We have in common sewing so we already have something in common. We’re already all friends, right? Anybody who sews is my friend already and the fact that we already have this in common and we can support each other not only in our sewing but in our journey into becoming parents and all that that changes in our lives. Exactly because even if you do have friends or live in a city and you have like a larger social life doesn’t mean that all your friends are in the same life phase as you are a so it can be also difficult if you have friends who are not pregnant or don’t have kids yet or aren’t even thinking about them to connect with them and as you say if you’re sewing you’re already pretty much friends so. Yeah this is starting this community is a very important part of Maternity Sewing. [15:26] Yeah and so the ways that were hoping to build that community and be a place so we have a Blog and it’s you know we’re keeping it quite active and and posting tutorials and other women’s stories of things as light as this is how I styled this maternity sewing garment or this is how I style this garment I use for nursing to more deeper stories of this is how I use to sewing to appreciate and feel comfortable in my new postpartum body. [15:58] So we have that going on our blog. You’re here listening to our podcast so you know we’ve got that going on and very shortly will get into more about the things that we want to talk about that will be planning on talking about in the podcast. 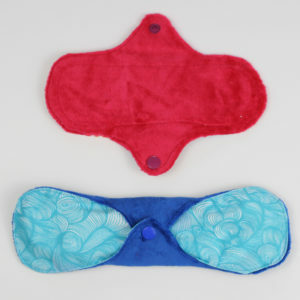 And we also have a Facebook group where people can interact more immediately and more directly as just one more way of building a community around being sewists who have had pregnancies, want to have pregnancies, have nursed or you know have gone through the changes of life that these sorts of things bring. So in the podcast we will be rotating through topics so. [17:02] other sewists that don’t necessarily have anything to do with pregnancy and nursing or postpartum that are just about sewing because sometimes it’s really nice to. [18:07] with experts and share with you things that might help you to navigate these changes in your life. 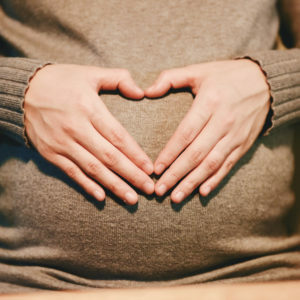 You know so much changes about your body, your emotions, your time, your choices, your lifestyle, after you have had a child and we want to recognize that and maybe share some information that can help you through this. So it’s not going to be about parenting because that’s a whole other thing. It’s really the focus is on you as an adult as an individual and the changes you’re going through. So you may find us talking to someone in the medical profession about what actually changes to your body during pregnancy. You might find us talking to a mental health professional talking about how sewing can help your mental health at any point and postpartum. But will be kind of cycling through those. because when you so you can fit your body exactly as it is and you don’t have to worry that the ready-to-wear clothing if it doesn’t fit you it doesn’t mean that there’s something wrong with your body it just means that you didn’t sew something right and you can fix that. Personally I found pregnancy and postpartum to be you just completely discombobulating. I felt so forein in my body. [19:57] And sewing for me was a way of reclaiming and re-understanding my body and I know that it has been like that for many women and we really want to emphasize that and share that and even apart from the postpartum and pregnant phase just in general sewing is a really profound way to understand and appreciate your body for what it is and so that’s something that we really want to have as an undercurrent through all this that we want by understanding and embracing your body you can appreciate it better and feel more comfortable and confident in it. And so then finally we will have episodes that are just conversations between me and Lisa so that we get the chance to chat about all these different topics so you can kind of just get windows into our life and what we’re thinking about and what work working on at the moment. Yeah I think I’m especially excited about the experts that we have lined up and like the variety of topics that we’re going to talk about because I also felt that I wasn’t really prepared for this giant change in my life and to my body as well. [22:03] to encourage them to be more patient for themselves when it comes to healing and comes to adjusting to this new phase and Yeah so I’m really excited to start his podcast with you. everyone. That’s it for today’s episode of the maternity sewing podcast you can find maternity sewing at maternitysewing.com. You’ll find a curated pattern shop with maternity nursing and postpartum friendly sewing patterns, our blog where we have sewing tutorials and inspirations for pregnant nursing and postpartum sewists. And show notes from all our podcasts. [23:08] I’m Erin Weisbart your host today and co-owner of maternity sewing. You can find me at Tuesdaystitches.com and on Instagram as @TuesdayStitches. I’m Lisa Kievits, your host today and co-owner of Maternity Sewing. You can find me at PaprikaPatterns.com and on Instagram as @PaprikaPatterns. You can look in our show notes and on our website at MaternitySewing.com/podcast for links to all the ways you can stay in touch with Maternity Sewing like our Facebook page and Facebook group. You can also find us on Instagram @MaternitySewing.